On May 7, 2018, Vladimir Putin was sworn in as President of the Russian Federation for another six years. Although he has already secured himself a place in Russian history by "taking the Crimea home”, he faces significant challenges. For example, the economy must be sustainably strengthened, the conflicts in Syria and Ukraine are consuming valuable resources, and the cleavages with the West have deepened further. 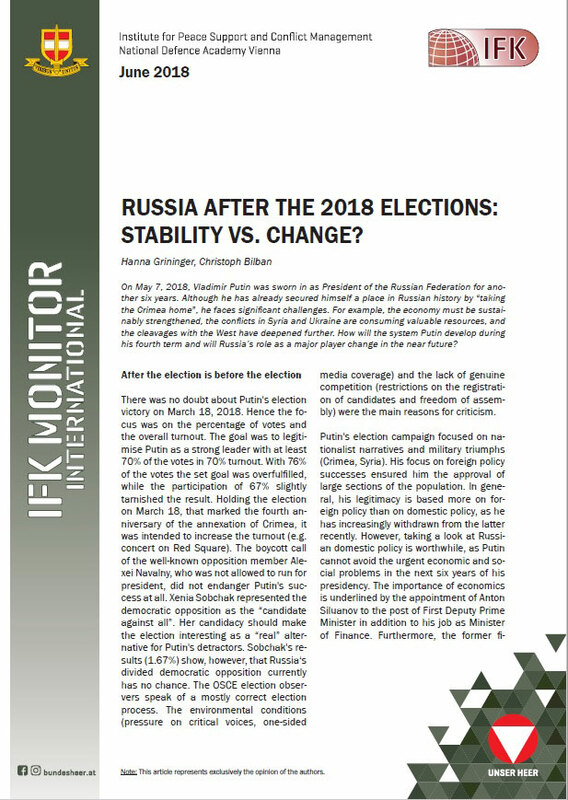 How will the system Putin develop during his fourth term and will Russia’s role as a major player change in the near future?